General nonlinear ultrasonic techniques (NUTs) use tone-burst ultrasonic waves with a narrow bandwidth so that the fundamental frequency component and the second-order harmonic component can be clearly separated in the frequency domain. Meanwhile, when using a longitudinal wave propagating in the thickness direction, the number of cycles of tone-burst signals can be limited by the object thickness. In some cases, only a pulsed signal or a single-cycle signal, which has broad bandwidth, may be applicable to avoid superposition of the first transmitted wave and the multi-reflected waves. Such cases complicate the use of general NUTs, and it is necessary to apply a method to precisely extract the second-order harmonic component even in broadband signals to the NUT. In this study, the pulse inversion (PI) method, which can extract only even harmonics or odd harmonics by superposing or subtracting two wave signals obtained from 180° out-of-phase inputs, is applied to an NUT using broadband ultrasound. 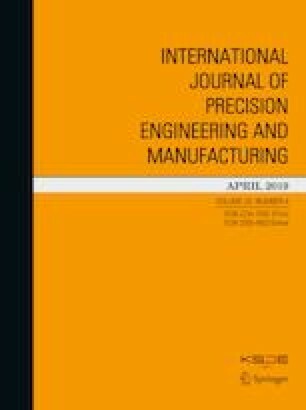 The performance of the PI-based NUT with respect to material degradation is verified using a series of heat-treated aluminum alloy specimens with various levels of precipitates. The experimental results show that the nonlinearity parameters measured with single-cycle signals agree well with the previous well-validated experimental results obtained using narrowband signals. Next, the PI-based NUT is used to assess the localized material degradation of a stainless steel plate subjected to high-cycle fatigue. The experimental results show that the profile of the measured nonlinearity parameters as a function of scan position is consistent with the intended distribution of localized fatigue damage, which demonstrates the potential feasibility of the proposed technique for evaluation of localized material degradation in plates. This work was supported by the research fund of Hanyang University (HY-2017), and the National Research Foundation of Korea (NRF) Grant funded by the Korean Government (NRF-2013M2A2A9043241).